Today I received a photo of a beautiful cake via Facebook from my cousin Lucille, who used this past weekend to try her hand at the now famous “Aunt Lucy cake.” I was pleased that Lucille tried the recipe and delighted that she and her family enjoyed the cake, but to me what is most remarkable about sharing a simple recipe with my cousin is that until last year, we didn’t even know that the other existed. Lucille is a cousin from my biological father’s side of the family (my dad’s sister’s daughter). After my father passed away and my mother eventually remarried, we somehow lost touch with the Massetti family and for nearly a half century my sister and I have been, long lost relatives. That is until one fateful Saturday afternoon when I got a Facebook message from a man named Michael, who claimed that he believed that we were from the same clan. I had gotten my hopes up before from possible relatives discovered over Facebook, and they always turned out to be false alarms. The only way I could test to see if this Michael was truly the son of my father’s brother was to ask a “security” question. I told him that a bunch of our aunts (my father had 6 sisters) had very unusual names and then sat back to see what his response would be. I stared at my laptop’s screen not knowing why I was feeling anxious but I was. After a few moments that felt more like an hour, I had mail in my box and upon opening it, Michael had indeed given me the correct names of my aunts (who were named after famous Italian opera stars from the early 20th century). My heart began to race. Suddenly the emails were flying back and forth and information about my biological father’s family began to emerge for the first time in my life. Michael put me in touch with his sister Joanne and we were even able to swap some old photos (taken in the 1950’s) of our parents together. Then Joanne gave me the telephone number of one of our four surviving aunts. I wrote the number down on a piece of paper and tucked it into my shirt pocket. 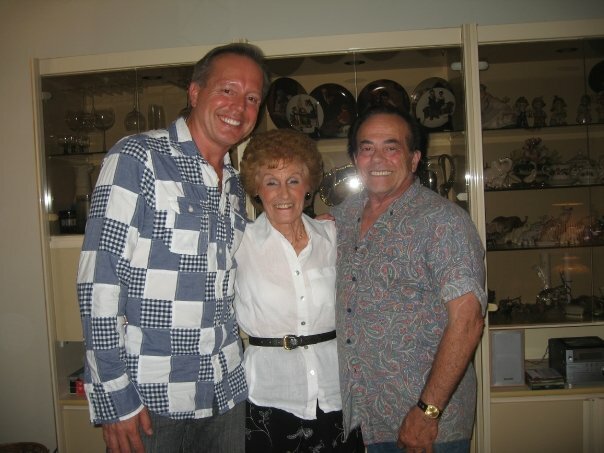 I was very apprehensive about speaking with the Massetti’s who had not seen me since I was a four years old! So many thoughts ran through my mind. Had they ever tried to find my sister and me before? How would they react to me magically appearing with no warning? What if everyone was happy enough with their lives as they were and I was about to rock the boat? How would I react if I were rejected? I waited several hours pondering what I should do. Was I rocking the boat? After all, the man who raised me was my father. As far as we are concerned, sharing the same blood could not have made it any more so. I adore him more than words can express and he could not be prouder of his only son. What’s more, his wonderful family was also my family. It was his brother’s wife, my Aunt Lucy, who passed her famous cake recipe onto me. And my two aunts… I can’t say enough about them. My dear Aunt Evelyn, who is still with us at 91 years old and is as feisty as ever, living on her own in the same Brooklyn apartment she has lived in for almost 50-years. 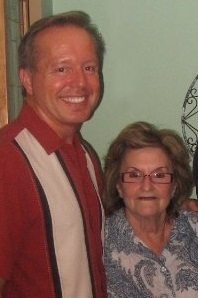 My aunt Millie was a genuine Pied-Piper who loved children and always looked for the good in all people. She gave everyone the benefit of the doubt and I always admired that about her. Aunt Millie also owned a candy store/Luncheonette and whenever we would visit, she would close the place down and lock us kids in there with a sack of quarters to play the pin-ball machines and have full run of all the candy, ice cream and food we wanted. She was one in a million and I miss her every day. I took the paper with the telephone number out of my pocket and reviewed it once again. The number was for an “Aunt Millie.” It seems BOTH my dads’ had sisters named Millie. I thought about my sweet aunt, her kind heart and how she looked for the good in everything. Maybe that name was a sign. Perhaps both my Aunt Millies would be remarkable women. I sat down on to a chair in a quiet corner of my house and dialed the long distance number. “Yes, yes I did…”she responded quite hesitantly, not yet knowing where this was going. When I did call Tony, he was not at home and I wondered if I should leave a message on his machine. If I did, what should I say? How much should I tell him? I wound up leaving a message that basically told him who I was and that Millie had given me his number. The ball was now in his court. If after all this time he wanted to reunite, all he had to do was call me back. Once again I was more pleasantly surprised than I can explain. Tony called me back quite excited and we talked for a long time. He was a great guy and he had been very close with my late brother. The two were only five or so years apart and Danny looked up to Tony like a big brother. This was a remarkable connection for me to be linked with someone so close to Danny. Tony, like Millie before him had told me to make sure I come and see him when I get to New York. My partner James was as excited as I was. He and my dear friend, Jeanne thought that I should just take some time and head right up to New York and have a face-to-face reunion with my newfound family. So without any delay, I called them both back and asked if they would be available to see me if I came up the following week. The schedule worked for all of us, so the tickets were bought and the plans were made. Uncle Tony was the first Massetti I was to meet. I walked up the steps of his front porch and rang the bell. In a moment, the door flew open and there before me stood a man who looked so much like me that I couldn’t help but smile. You see, I look like my father so I didn’t really bare any resemblance to my mother’s family, and for obvious reasons, no one in my dad’s family looked like me either. For the first time that I could remember, I was looking into the eyes of my own gene-pool. I didn’t know whether to offer my hand for shaking or to just give him the hug that I felt compelled to give. Tony made the decision for me as he embraced me with genuine love, in a way that I think you couldn’t fully understand unless you too were from a similar reunion situation. I spent the whole day with him catching up and learning. He is an avid antique car enthusiast and has restored several of his own to their original glory that he kept in a large garage, which he had custom built himself. He took me on a tour to see the beautiful autos and the afternoon flew by. Before I knew it, his wife (my Aunt Bonnie) had come home from work. She was charming and charismatic and I wound up staying with the pair late into the evening. Tony wanted to see me again before I returned to Florida, so we made plans for him to take me to see another of my father’s sisters, my Aunt Elda that Sunday. Elda was my father’s third eldest sister. Del, the oldest of the girls, had passed away. Dee, who was in poor health, was in a nursing home in Upstate New York and Jo another surviving sister lives in South Carolina. She and I also had a wonderful talk and I am still waiting to be able to take a trip to SC so we can meet at last. She too was warm, kind, and very gentle. I know that our reunion is going to be very special and I eagerly await that glorious day. That’s really what it’s all about. We were forever connected by people that we loved and lost. As long as we have each other, we know that our loved ones are never really further than the smiles we share, the same twinkle in our eyes, and most of all… the love in our hearts. So now after a half century, I have come full circle. I have a great relationship with my Massetti cousins, which I am still waiting to meet, but thanks to the magic of Facebook we can chat, catch up on family news and even exchange heirloom cake recipes! Thanks Tee. And my Aunt Millie is still waiting to meet you and Sharon! Don, this was lovely. I met my half-sister (I was raised an only child) about 15 years ago. I felt like I found my other half – All of a sudden, my height made sense, my size 10 foot and my whiny voice! It was amazing!!! Love your writing! Thanks so much. It is an incredible experience to meet family you have never known, as you yourself found out. I am happy for your reunion! I am so happy for you, that you found your family after all these years. Very heart-warming, Don! You capture the emotion of this moment so well. I’m glad to hear you’ve reconnected with this portion of your family. Really emotional, you are a very brave Guy.Beautifully written.